The Holmes Group is recalling about 2.6 million Rival Slow Cookers, expanding an earlier recall. Hazard: The handles on the base of the slow cookers can break, posing a risk of burns from hot contents spilling onto consumers. These Rival Slow Cookers, sold from January 1999 through May 2002, were previously recalled for the same hazard. The recall has now been expanded to include all units manufactured before September 2004. CPSC has received a total of 126 reports of handles breaking, including 33 reports of consumers who reported burn injuries from the hot contents of these slow cookers. The recall includes Rival Crock-Pot slow cookers with model numbers 3040, 3735, 5025, 5070 and 5445. The model number is printed on the UL label located on the bottom of the base. The recalled Rival slow cooker has a removable ceramic bowl that sits inside of a metal base. The Rival logo is printed on the front of the unit above the control knob. The bases are round or oval shaped and were sold in various colors and designs. A date code is stamped on the side of one prong of the power plug. The first two digits represent the week of manufacture and the last two digits represent the year of manufacture. Any plug with a date code from 0199 (1st week of 1999) to 3504 (35th week of 2004) is included in this recall or the previous recall. The units were sold at Wal-Mart, Kmart, Target and additional discount department stores nationwide from January 1999 through May 2005 for between $15 and $40. Consumers should immediately stop using the product and contact The Holmes Group to receive instructions on receiving a replacement base. Consumer Contact: Visit The Holmes Groups Web site at www.rivalrecall.com or call (800) 299-1284 anytime. Sportcraft is recalling about 12,000 treadmills. The treadmill can unexpectedly accelerate and cause users to fall and sustain injuries. Sportcraft has received 110 reports of unexpected acceleration, 14 of which resulted in minor injuries, including sprains and bruises. This recall includes Sportcraft Tredex 6.0, TX 440 and TX 550 treadmills. 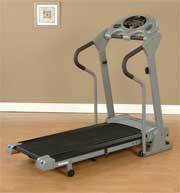 These 155- to 170-pound motorized treadmills are gray in color and can be folded upright for storage. The name Sportcraft and product identification of Tredex 6.0, TX 440 or TX 550 are printed on the control console of the treadmill. The units were sold at discount department and other retail stores nationwide from December 2002 through April 2005 for between $350 and $600. Consumers should stop using the recalled treadmills immediately and contact Sportcraft to receive a free repair kit. Consumer Contact: For additional information, contact Sportcraft at (800) 526-0244 between 9 a.m. and 5 p.m. ET Monday through Friday, or visit the firms Web site at www.sportcraft.com. Meco Corp. is recalling about 175,000 children's folding chairs. Childrens fingers can become caught or entrapped in the hinge and slot areas of the chair, posing a pinch or cut hazard. In 2004, Meco recalled red-colored childrens folding chairs because paint on the chair contained excessive lead levels, posing a lead poisoning hazard to young children. CPSC and Meco are aware of three incidents relating to the latest recall. Two resulted in pinched fingers and there was one laceration to a childs finger. The recalled childrens folding chairs have safety locks under the seat. The chairs are made of metal tubing with a vinyl padded seat and seat back. They were sold in red, blue, yellow and green colors as a part of a set consisting of a table and four chairs. Each chair is about 22-inches high, 10-inches wide, and about 11-inches deep. Meco or Samsonite is printed on the label underneath the seat bottom. The chairs were sold at furniture and wholesale club stores nationwide from July 2003 through May 2005 for between $25 and $40. Consumers should immediately stop using the chairs and contact Meco for instructions on receiving a refund. Consumer Contact: Consumers should call Meco at (800) 251-7558 between 8 a.m. and 6 p.m. ET Monday through Friday or e-mail Mecos customer service at csr@meco.net Consumers can also visit the companys Web site at www.meco.net. Lamplight Farms Inc. is recalling about 350,000 Tiki metal torches sold at Wal-Mart. The head and cover of these torches can come loose or be dislodged during use, allowing torch fuel to spill. This poses a risk of burn injuries and property damage. Lamplight Farms has received one report that a torch head fell off the torch pole when bumped and spilled torch fuel. The spilled fuel was ignited by the burning wick, resulting in second- and third-degree burns to a consumer. The recalled Tiki Cone Metal Torch is a 6-foot long, outdoor, open-flame lamp consisting of a black metal pole topped by a copper-colored, cone-shaped metal head. A black decorative rod spirals around the head of the torch. The torch head includes the fuel reservoir, cover and wick. It was sold under Lamplight Farms model numbers 1263 and 126301 and Wal-Mart item numbers 1656121 and 1691366. Both items were sold with the same UPC number 086861012635, which is located on the bottom of the printed hangtag. Wal-Mart stores nationwide sold these torches from December 2003 through early June 2005 for about $9. Remedy: Consumers should immediately stop using these torches and return them to any Wal-Mart store for a refund. Consumer Contact: Call Lamplight Farms toll-free at (800) 645-5267 between 8 a.m. and 5 p.m. CT Monday through Friday, or visit their Web site at www.lamplightfarms.com. About 12,000 bottles of Natures Bounty and Natural Wealth brand multivitamins are being recalled. The vitamins contain iron, but do not have child-resistant packaging as required by federal law. They could cause serious injury or death if ingested by a child. The Natures Bounty and Natural Wealth brand multivitamins have lot number 60835-06 written on the label. The recalled vitamins were sold in containers of 100 caplets. The containers are both clear with white caps. They are labeled Natures Bounty Multi-Day Multivitamin Plus Iron or Natural Wealth Daily Vitamin Plus Iron. The vitamins were sold at various drug and grocery stores and independent distributors nationwide from July 2004 through March 2005 for about $4. Consumers should keep this product out of the reach of children and return it to the store where it was purchased or contact NBTY for information on receiving a refund or replacement. Consumer Contact: Call NBTY at (800) 433-2990 between 9 a.m. and 7 p.m. ET Monday through Friday. Consumers also can visit www.naturalwealth.com or www.naturesbounty.com for more information about this recall. Rolf Prima is recalling its about 870 2003 Rolf Prima Vigor and Elan Bicycle Wheels (rear wheel only). The rear wheel freehub mechanism can malfunction causing no resistance when pedaling. The bicycle rider could lose balance, fall and suffer injuries. These 2003 Rolf Prima Vigor and Elan wheels were sold in a front and rear wheel set. Only the rear wheel is affected. Rolf Prima Vigor or Rolf Prima Elan are written on the wheel rim. The wheel models have serial numbers between 03926 and 06586. The serial number is located on the rim, under the yellow rim tape and is not visible from the outside of the wheel. The tire, tube and rim strip must be removed. The wheels were sold at bicycle specialty stores nationwide from March 2003 through December 2003 for about $850 per set. Contact your local bicycle retailer to have them inspect your wheels to determine if they are included in the recall. If so, the dealer will provide a free repair. Repair kits will be available in 6 to 8 weeks. Consumer Contact: For additional information, contact Rolf Prima Inc. at (800) 741-6941 between 8 a.m. and 5 p.m. PT Monday through Friday or visit www.rolfprima.com. Club Car is recalling about 71,700 Precedent and Precedent Champion golf carts. The accelerator pedal can temporarily stick when depressed, resulting in unexpected acceleration or difficulty braking. Club Car has received two reports of Precedent golf cars having difficulty braking due to accelerator pedals sticking. Minor injuries were reported in one incident. The Precedent and Precedent Champion golf cars are branded with the Precedent name on the steering wheel. The affected vehicles have serial number prefixes beginning with the two-letter combination CE, CF, PE, PF, PQ or PR. The serial number is located in the dash compartment on the passenger side of the car. Authorized Club Car dealers nationwide sold the golf cars from October 2003 through June 2005 for $3000 to $4000. Club Car will repair the accelerator pedal return assembly on these vehicles free of charge. Vehicle owners should immediately stop using any vehicle if they hear a grinding noise while depressing the accelerator pedal. Most vehicle owners have already been contacted by Club Car about this recall. Any owners not notified should contact their authorized Club Car dealer or call Club Car direct to schedule their free repair. Consumer Contact: For more information, contact Club Car toll-free at (800) 227-0739, Ext. 3580 between 8 a.m. and 5 p.m. ET Monday through Friday, or visit the firms Web site at www.clubcar.com. Tecumseh is recalling about 21,000 lawn tractors. The axles on these lawn tractors can crack and break if subject to extreme load amounts. Should the axle break, it could cause a loss of control and result in injuries to the rider. These lawn tractors have a 6-speed MST206-545C Peerless transaxle and a 17.5, 18, 18.5 or 19 horsepower engine. The recalled tractor and transaxle model number information is located below the tractor seat, and on the transaxle housing. The recalled transaxles have a date of manufacture code (DOM) between 4275 and 5047 followed by the letter G, which can be found on the Transaxle ID Label. The tractors were sold at home and hardware stores nationwide from December 2004 through May 2005 for between $750 and $1,300. Consumers should immediately stop using their lawn tractor, and contact Tecumseh for assistance in identifying affected units, and free repair if necessary. Consumer Contact: Call Tecumseh toll-free at (888) 271-4048 between 7:30 a.m. and 4 p.m. CT Monday through Friday, or visit Tecumsehs Web site at www.tecumsehpower.com. The Food and Drug Administration has issued an alert, telling the public that products containing "cake batter" ice cream sold at Cold Stone Creamery stores throughout the country may be associated with an outbreak of Salmonella Typhimurium infection in several states. After being informed by FDA of the potential contamination problem, Cold Stone Creamery has agreed to immediately remove all "cake batter" ice cream products from its stores throughout the country. Consumers who may have purchased take home products from Cold Stone Creamery containing "cake batter" ice cream should not eat them, but instead dispose of them immediately. "FDA is working with the Centers for Disease Control and Prevention (CDC) and our state partners to determine the source of the contaminated product and is issuing this alert to protect the public," said Dr. Robert Brackett, Director of the FDA's Center for Food Safety and Applied Nutrition." Salmonella Typhimurium is an organism, which can cause serious and sometimes fatal infections in small children, frail or elderly people, and others with weakened immune systems. Healthy people may only suffer short-term symptoms, such as high fever, severe headache, vomiting, nausea, abdominal pain, and diarrhea. Long term complications can include arthritis. The ice cream's possible contamination with this organism came to light after multiple cases of infection with this form of Salmonella were reported in late May and early June, 2005 in Minnesota, Washington, Oregon and Ohio. To date, 14 people are ill from this unusual strain of Salmonella. Many of the people reporting this illness also reported consuming "cake batter" ice cream at a Cold Stone Creamery shortly before the onset of their illness. Individuals who believe they have become ill as a result of eating this ice cream should consult their health care provider and contact their local health department. July 5, 2005 Dorel Juvenile Group is warning parents and caregivers who purchased the Safety 1st Tubside Bath Seats that the seats are not intended and should not be used with certain non-traditional or sunken bathtubs. In these types of tubs, the bath seat can break, tip over and a child can fall into the water. Dorel Juvenile Group has received nine reports of breakage due to use of Tubside Bath Seats in non-traditional or sunken bathtubs. An additional 67 reports of breakage due to handling, assembly and unknown reasons also were received. There was one report of a child bumping his forehead when a bath seat tipped over in a non-traditional tub, resulting in a bruise. These Safety 1st Tubside Bath Seats have model number 44301 engraved on the bottom of the base. Safety 1st is printed on the front of the units. They are white and blue, have a swivel seat and an elbow cushion on the attachment arm. These seats are intended for use with children from 5 months to 10 months of age. Tubs with edge width less than 3 inches or greater than 5 inches. Tubs with depth (top to bottom) less than 12 inches or greater than 15 inches. The seat should not be used if the red warning label on the arm is exposed. Parents and caregivers should always keep the child within arms reach. Children have drowned when left unattended in bath seats. Discount department and other mass merchants sold these bath seats from December 2003 through August 2004 for about $20. Consumers who have a Tubside Bath Seat should check the dimension of their tubs. If they have a non-traditional or sunken bathtub outside the specified dimensions, or have a broken unit the consumer should immediately stop using the Tubside Bath Seat and contact the firm for information on how to get a $20 rebate toward the purchase of any other Dorel Juvenile Group product. Consumers should not return product to retail stores. For more information, contact Dorel Juvenile Group at (888) 698-6681 between 8 a.m. and 4:30 p.m. Monday through Friday or visit the firms Web site at www.safety1st.com. The warning is being conducted in cooperation with the U.S. Consumer Product Safety Commission (CPSC). Nautilus is recalling about 10,000 Nautilus NT 1020 Exercise Benches. A weld on the bench frame under the seat can crack and separate from the main frame, allowing the bench to collapse and the user to fall and suffer injuries. Nautilus has received four reports of the main pivot separating from the exercise benchs main frame. No injuries have been reported. The Nautilus NT 1020 is a free-standing exercise bench typically used for free weight workouts. It is comprised of a white steel base with wheels on one end, with a black vinyl bench and back support. The fronts of both the white base and the black vinyl back support are stamped with the name Nautilus. A tag affixed to the reverse side of the back support includes Distributed by Nautilus/Schwinn Fitness Group Inc. and Made in China. At the bottom of the products base, near its wheels, is a sticker that includes the words Production Date Code and a 4-digit number. The first three digits of the date code identify the day and the fourth digit identifies the year in which the unit was built. Units included in this recall have Production Date Codes from year 2002 that run between code numbers 1952 and 3652, and Production Date Codes from year 2003 that run between code numbers 0013 and 1903. Benches that are white in color and do not have a Production Date Code sticker also are included in this recall. The benches were sold at specialty health and fitness stores nationwide from November 2000 through January 2004 for between $300 and $400. Consumers should stop using these exercise benches immediately and contact Nautilus to receive a free repair kit. Consumer Contact: Call Nautilus toll-free at (800) 621-4570 between 8 a.m. and 5 p.m. MT Monday through Friday or visit the firms Web site at www.nautilus.com.